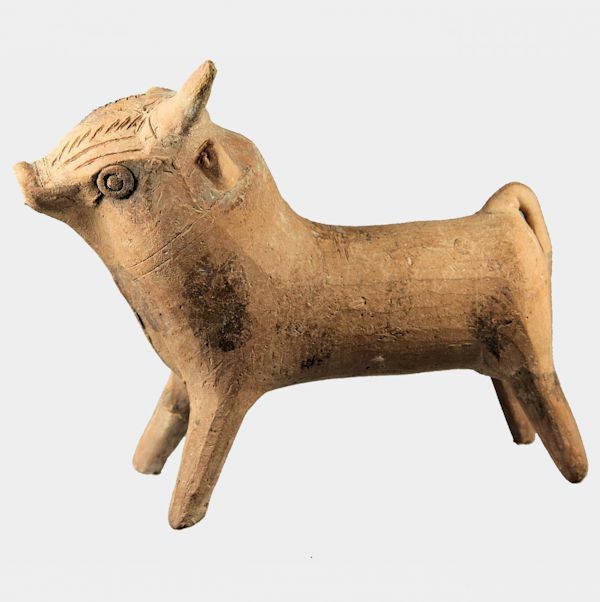 A pottery votive horse with elongated limbs and traces of white and red surface painting. Ex. contents of Les Arches, Jersey, UK; acquired mid 20th Century.